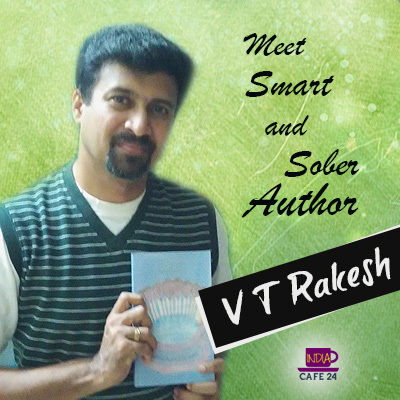 V T Rakesh, an author who believes in giving social message via his skill of writing. Yes, he is different in his writing and that what makes him stands apart in the world of authors. He shared his journey in this creative world with us. Take a look at what he shared………….. It is a pleasure to have you on this platform of Indiacafe24.com. Our readers would surely want to have a sneak peek on your background. I have had the fortune of being part of both rural and urban India, having brought up in an interior town in Kerala and later on moving to Vadodara, Bangalore and thereafter to Surat. My debut novel “The Thorough Check”, was critically acclaimed by many including “The Tribune”-Newdelhi edition. I was keen to write about social issues and later on decided to write in the genre of Crime-Thrillers which carried a social message. People seldom read novels that preach them something. Instead it is better to camouflage the social message in books that they would like to read, and what better genre than crime-thrillers. Now once a foothold has been gained in the literary space, the writer has the freedom to experiment with various genres. I would like to write a historical fiction soon which will touch upon some acute social issues directly. What did you think about fictional thrillers and its popularity in market? Fictional thrillers are beyond a time horizon. A novel like “Guns of Navarone” still keeps the readers glued even 50 years post-publication. I think good fictional thrillers are accepted by the market at all times, for example, those by Jeffrey Archer, Frederic Forsyth or Dan Brown. But when it comes to Indian authors, the Indian readers have a prejudiced mind set of looking down at them. Somebody writing about a terrorist plan to blow up the London tube is considered genuine stuff, whereas the same plan if it is to blow up Delhi Metro is not considered substandard. You are a qualified engineer then how come you got addicted towards writing world? Engineering is what I do to satisfy my body, whereas writing is something I do to satisfy my mind. When each of my published work comes out I feel like they are my heirs. What elements of fictional thrillers stories fascinate you most? Few months back your novel Deliverance of Sarpameru got published. So how you are feeling ? What sort of reviews you are getting? I feel good as a writer, having delivered what I wanted to. Reviews are mixed. I think compared to my first book which was getting moderate reviews throughout, this one is getting extreme reviews. It is either people like it or out rightly hate it. I should say, this book has three stories intertwined together, hence somebody may find it to be a story differently told. Which one is your favorite your first novel or the 2nd one and why? It’s like asking a parent which one is her/his favourite child. My first book had a domestic theme, whereas the second book crosses the seas. I would say the second book is unique when it comes to storytelling and therefore makes it special. What was your reaction after watching the final cover page Deliverance of Sarpameru. As a marketing professional myself, I do agree the role of packaging or the front cover plays in impressing the reader. But in the long run readers remember a book for what is inside the book. And as a person who is not writing for commercial gains I was not too particular about the attractiveness of the front page. 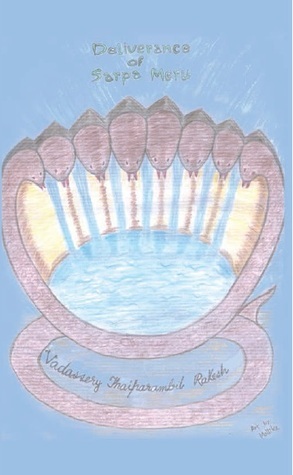 I had an idea in mind and that was transformed as a cover art by my family friend Mrs. Mallika Mahadev Das, who did a great job. In short, I was very much happy to see the final cover page. My first book was published by Leadstart, Mumbai. They were good in getting me some visibility and coverage. Second book, I chose on Partridge, it being an international name. After all, I think the author is the one who can make or break a book, no point in blaming the publishers. I am a voracious reader and at some point of time I used to critically view the books, why the author did not write this way which was rather appearing to be a better twist. Then the thought came to me that instead of wishing the authors should have written my way, I should start writing the way I want. And the beginning was not that bad. I have a passion to learn, having learnt engineering, management and law. I literally have started believing that life is a learning curve. What are your future plans – will continue with both profiles of engineer and author – Or will go with any one – If yes then which one and why? As long as my books do not earn me a livelihood I’ll be forced to continue as an engineer. But then again, I too dream of an early retirement with books and nature around, giving me the solace to explore further into the world of words. Define VT Rakesh the author in One line? Heeding to the heart beats of a peace loving society.